Seducing Ingrid Bergman tells the story of the secret love affair between war photographer Robert Capa and the Casablanca star in Paris and Hollywood. June 1945. When Ingrid Bergman walks into the lobby of the Ritz hotel in Paris, Capa is enchanted. From the moment he slips a mischievous invitation to dinner under her door, the two find themselves helplessly attracted. Played out against the cafés and nightclubs of Paris and the parties and studios of Hollywood, they pursue an intense and increasingly reckless affair. Addicted to risk, Capa must wrestle his devils, while Ingrid must court scandal if their love is to survive. At once passionate and ironic, tender and witty, the novel is one in which dark fears are confronted, desire is set free, and blood is both quickened and spilt. “Two-time Academy Award nominee and Cannes jury member Jessica Chastain will star in Seducing Ingrid Bergman... based on the 2012 novel by Chris Greenhalgh which tells the story of the torrid romance between the Casablanca actress and celebrated war photographer Robert Capa.” Article on Deadline. 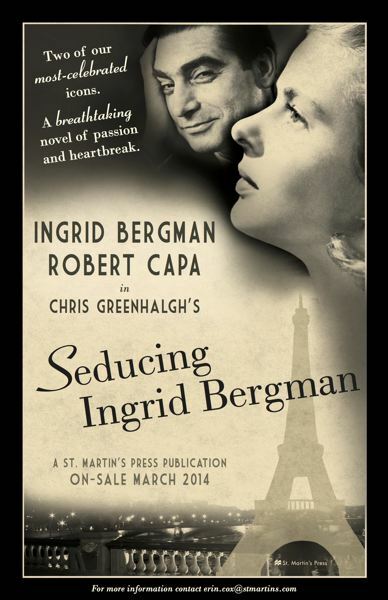 Seducing Ingrid Bergman, published by Penguin in October 2012. St Martin’s Press (Macmillan) in hardback, and Picador in paperback. The novel is available, unabridged, by W.F. 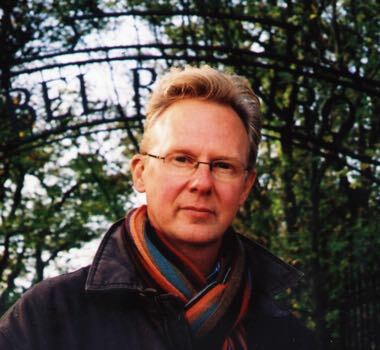 Howes.